These files are in COFF format, which Delphi XE2 or greater is supposed to be able to handle, and I can link to vdapi.obj without any errors. 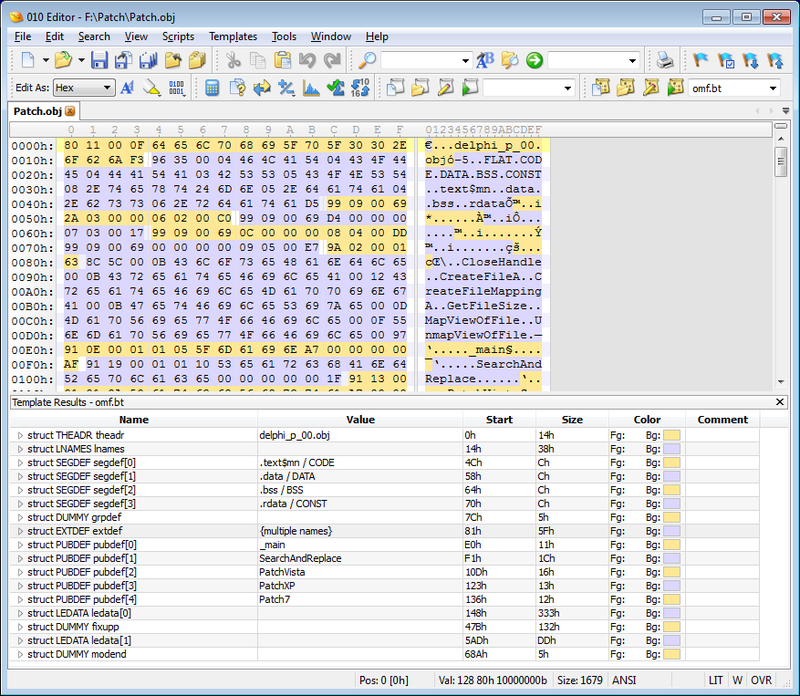 This code is used to build a DLL that is loaded via Citrix. The DLL is supposed to (according to the docs) export a single function called Load, which mine does, which calls the Load function exported from the .obj (as _Load). According to the docs, _Load "forwards the driver entry points defined in the .DLL to the client engine", the driver entry points being the "implemented" functions. The DLL has the Load function called by Citrix, however for some reason none of the "forwarded" functions are ever called. My question is whether the renaming might have affected the end result, or there is some other issue. I have also tried to convert the .obj to OMF as per your articles, however I ended up with a "Bad object file format" error. Any ideas about how I might be able to make this work? Renaming that you described shouldn't affect the result. If you could send me your example Delphi source+your compiled DLL+MAP/symbols for the DLL (optional but would greatly help), I will be happy to look at it and try to locate the issue. My email is at the bottom of the page.